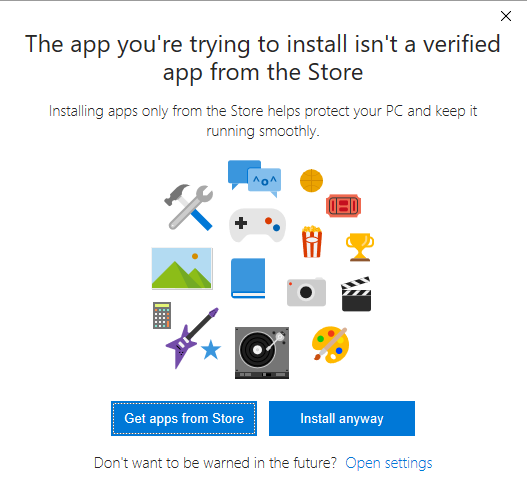 Have you ever been unable to install an app because it isn’t a “verified app from the Store”? It’s easy to prevent this screen from intruding on your workflow. Go to Start > Settings > Apps > Apps and Features. The first option in the list of settings is Installing Apps. In the drop-down menu, choose Allow Apps From Anywhere. Warning: Disabling this feature potentially opens you up to malicious content. 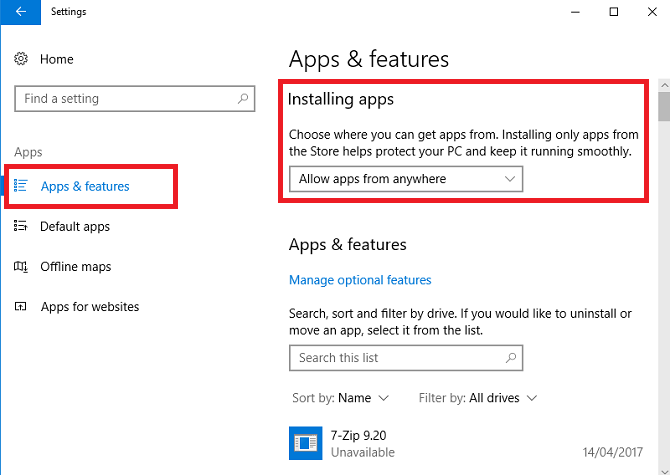 If you’re not confident in your ability to spot a fake app from a legitimate app, it’s probably best to choose Warn Me Before Installing Apps from Outside the Store instead of Allow Apps From Anywhere.